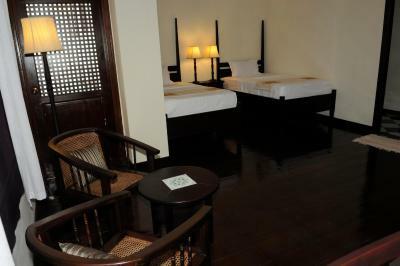 Lock in a great price for Hotel Khamvongsa – rated 8.5 by recent guests! Room was very nice and clean. Lovely minimal decor. Breakfast is ample and great quality/options. Super yummy yoghurt plus honey at breakfast. French room deco. 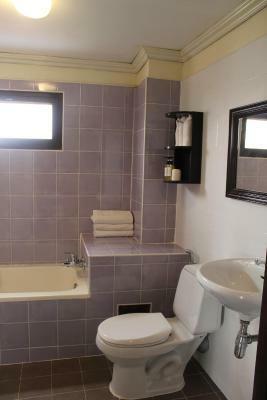 French decor hotel. 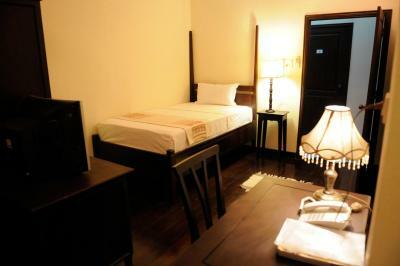 Clean rooms and breakfast area and nice staff. 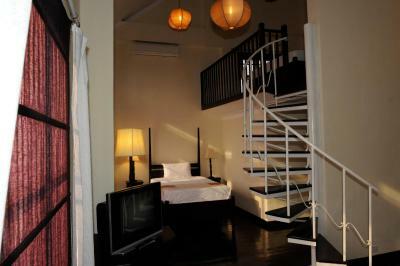 The location is great, close to the Mekong River, night market, and downtown shopping areas. I liked the price, the cheerful and helpful staff, the location, and the room itself. It’s not good value for money. Not wheelchair friendly. Rooms are small and not the cleanest. The bed was so high and furniture super heavy that I actually got hurt. Breakfast is most basic. For the amount I was charged I will not go there again nor perhaps book through booking. Com which told me the property was in high demand while it was empty mostly the days I was there.. I don’t like being cheated.. 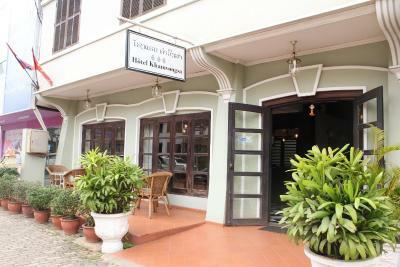 Boutique hotel located at the heart of Vientiane city, easy access to restaurants, cafe, shopping mart and temples nearby. 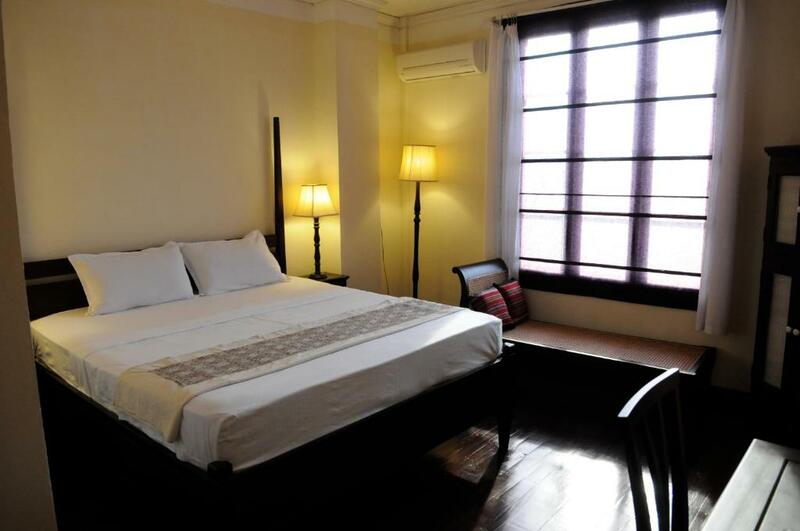 Less than 5-minutes walking distance to the Mekong River and/or the fountain, Kop Jai Der, Joma and many more! Staff are attentive and friendly. Recommended! 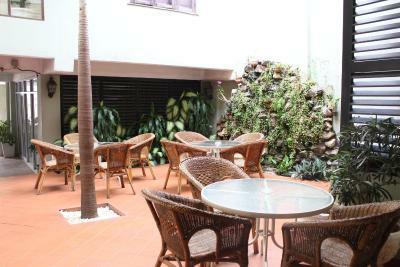 The staff are friendly, and the atmosphere is great with nice artwork and an open feel. The bed is very comfortable. The back of the hotel has a nice view of the riverside area (not a water view itself, but of the scene). Breakfast food options are good. 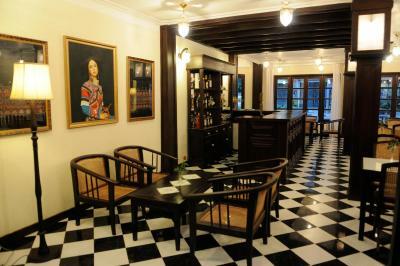 One of our top picks in Vientiane.Featuring a bar and free WiFi, Hotel Khamvongsa is located in Vientiane. 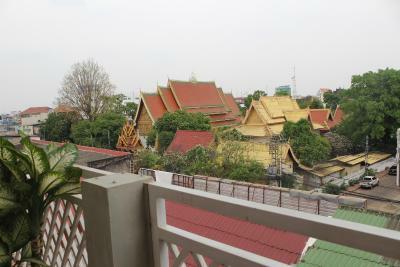 The property is close to Wat Sisaket, Hor Phra Keo and Laos National Museum. 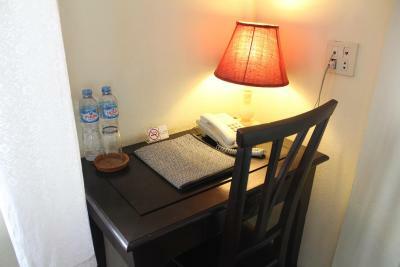 The property has a 24-hour front desk. 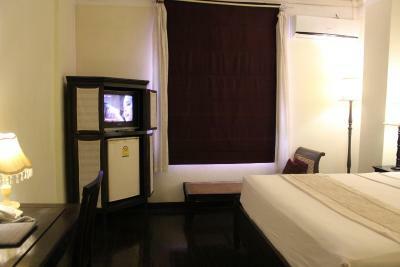 Guest rooms in the hotel are equipped with a TV. 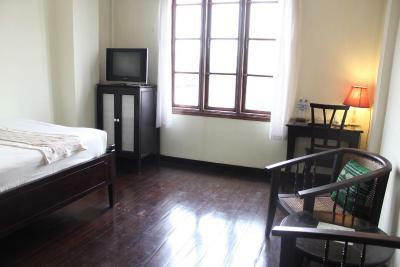 Rooms are complete with a private bathroom, all rooms at Hotel Khamvongsa are equipped with air conditioning, and selected rooms are equipped with a balcony. All guest rooms will provide guests with a fridge. 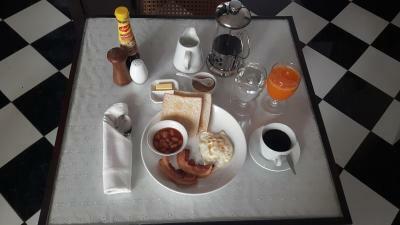 A continental, American or Asian breakfast is served at the property. Thatluang Stupa is 3.5 miles from the accommodation, while Lao-ITEC Exhibition Centre is 4.5 miles away. 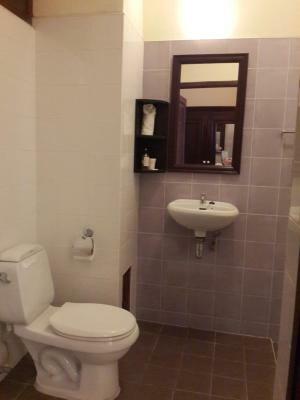 The nearest airport is Wattay International Airport, 3.6 miles from the property. 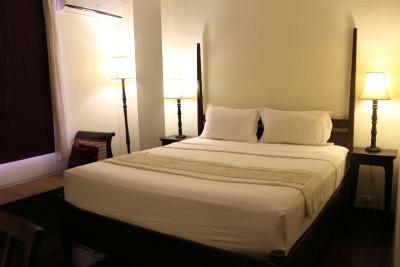 When would you like to stay at Hotel Khamvongsa? 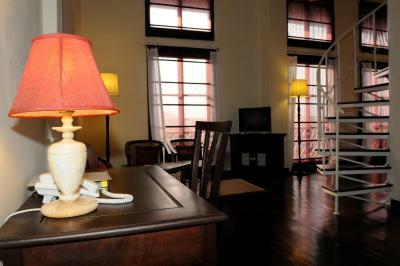 This suite features a balcony, kitchenette and mini-bar. House Rules Hotel Khamvongsa takes special requests – add in the next step! The air conditioning unit was so poor. I switched rooms 2 times and both rooms AC was horrible. They staff also made several insults to my party concerning their sexuality. The staff were very polite, but utterly unhelpful. No map of the area provided or even present on site. We asked about renting bikes/motorbikes, and no one had any suggestions for a good place to do so or could offer to arrange for us, likewise no one knew where to buy bus tickets much less the schedule or what they cost. 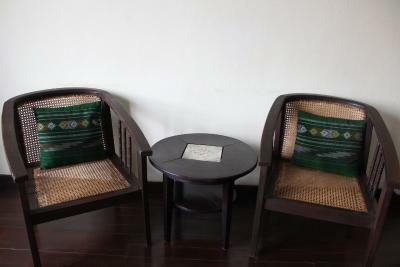 Would have really enhanced our stay if the staff were more aware of what travelers might need in Vientiane! Charming staff of young people. 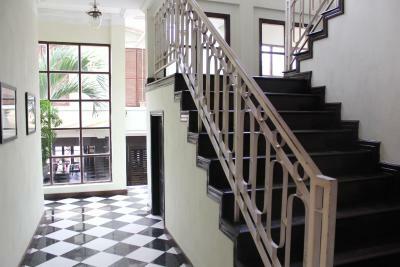 An old colonial style building which has had a make over at some time and is kept beautifully clean. 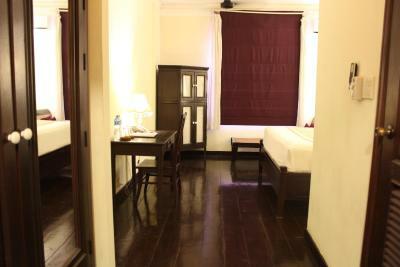 Guest room was large, clean and spacious but could do with a sprucing up. 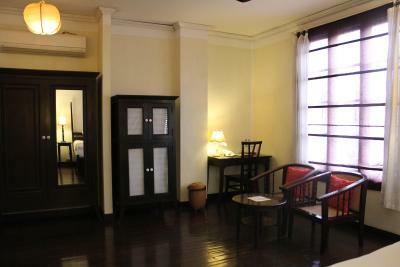 Lovely hard wood floors and old furniture but not what one could describe as luxurious compared with a modern hotel . 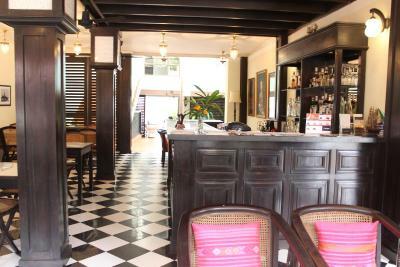 We love the old style places so were completely happy. Breakfast is ok. 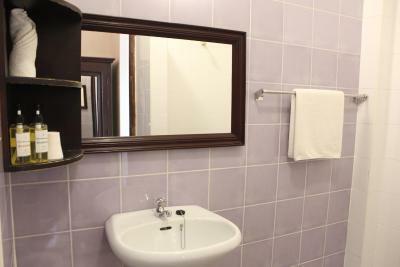 The hotel is in an excellent part of town off a main road and close to plenty of small streets full of bars and restaurants. Would be happy to return. Excellent breakfast, breakfast waiter and chambermaid good. Not exactly something not to like however it would be better to have tea/ coffee making facilities in the room and a hairdryer. Very helpful staff , extremely clean. Good shower with plenty of hot water. Good location for the river front, night market and places to eat. Breakfast had a choice of menu which was satisfactory. Would visit again in the future. we asked the hotel to call the taxi back to the airport, apparently the reception just takes 20 % of the amount cash they even dont give any receipt for that and didnt want to explain why the amount changed at the last minute. I advise you just to call taxi on your own unless you want it overpriced. The manager of the reception that day was not really collaborative and friendly, I would say even rude, however the rest of the stuff is nice. 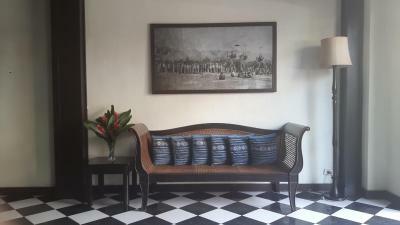 style of the hotel is very nice, reminds some post colonial deco, breakfast is also good, the room is full of light and also nice decoration. The welcome was nice and check in fast. All in all we had a nice stay. All very minor: Only one of the staff - a charming and helpful young woman - spoke any English or French, so queries were difficult when she was not around. I used the excellent Dynasty Travel Agency round the corner, where Donna solved all my problems. . The shower in my bathroom could have done with an update. Everything else was excellent and very clean. It didn’t affect me, but there are four floors and no lift. It would be helpful for the hotel to offer currency exchange. 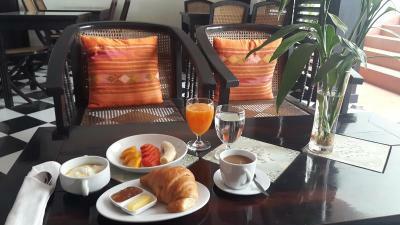 We loved everything about this lovely hotel - the breakfasts were ample and delicious; the staff were professional and helpful; our room was spacious and well appointed; the location was central. Also, our room was ready for us before check in time which was very welcoming!